on the significance of exhibitions & conventions and how Indian economy can benefit form it, but the action o ground and the policies & framework just does not seem to be that supportive or ideal for the industry. At the recently concluded 10th CIC Conclave at HICC Hyderabad, as speaker mentioned rightly that it was our ancestors who coined the team ‘Atithi DEVO Bhava’ and yet we are far behind other countries as to how to treat our visitors in terms of courtesy and hospitality. The state needs to support and invest in the industry to make a conducive ecosystem that propels growth of the private sector along with it. India has just about 74 airports as against over 15,000 airports in USA. The need to develop world class purpose built venues is also there if we want to attract foreign organisers and participants alike. Although India now hosts over 132ICCA conventions as against 83 in 2005 and exhibition space sold has gone up form 600,000 sqm in 2005 to 992,000 sqm in 2015, this is just tip of the iceberg as we hugely under-utilizing our potential with less than 1% share in international conventions and just 0.8% share of total exhibition space sold globally!! 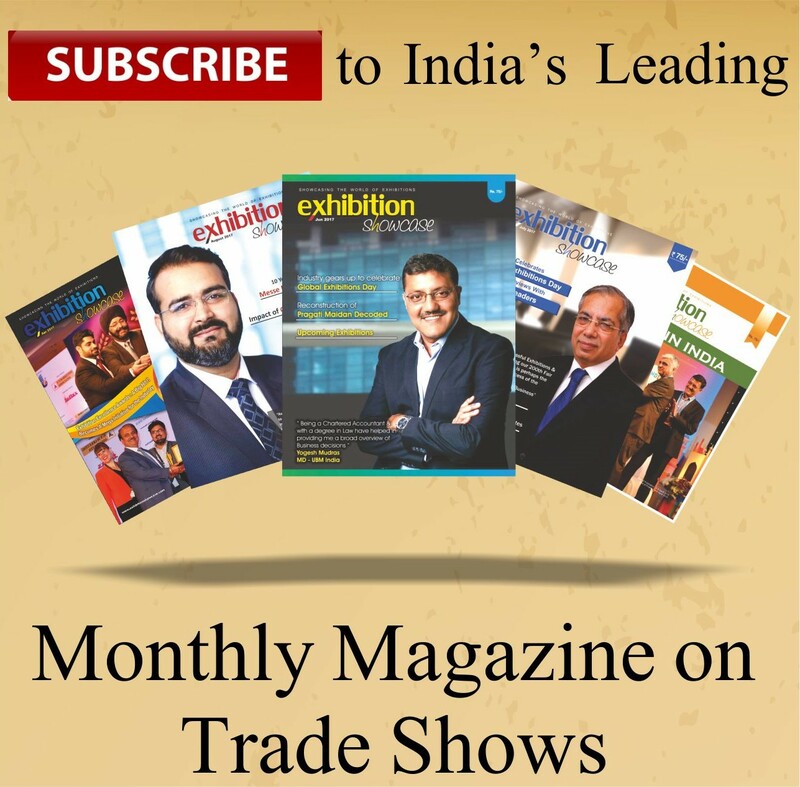 This issue of Exhibition Showcase will take you through the latest updates in industry, reviews of shows held and do not miss out on the exclusive interviews of K.V.Nagendra Prasad, Sanjiv Agarwal, Ernst Kick and Om Prakash Gupta. Previous articleMantra to hire and retain committed employee…..